Casey Benjamin’s inspirational sun charm represents warmth and growth. 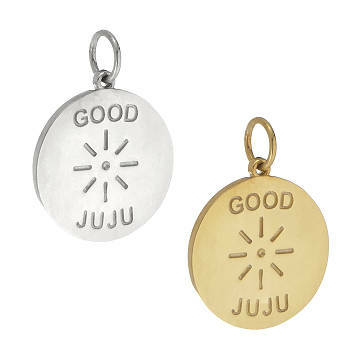 Two-time cancer survivor Casey Benjamin believes that the jewelry you wear every day can bring "good juju" into your world. Like this shining charm symbolizing warmth, growth, and the way the sun's glow spreads happiness. Charm: 3/4" Dia Chain: 18"